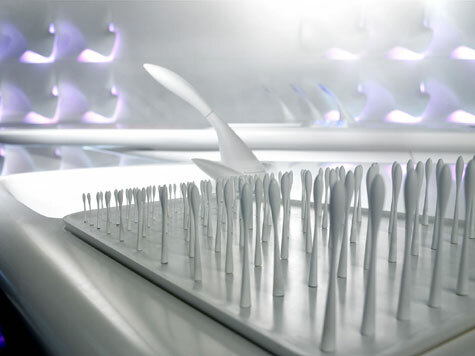 DuPont Corian is well known for its wide range of residential, commercial, furniture and specialty applications. Their latest offering, the Z Kitchen Island looks like something out of Star Trek and makes us feel like we are in the 23rd century. 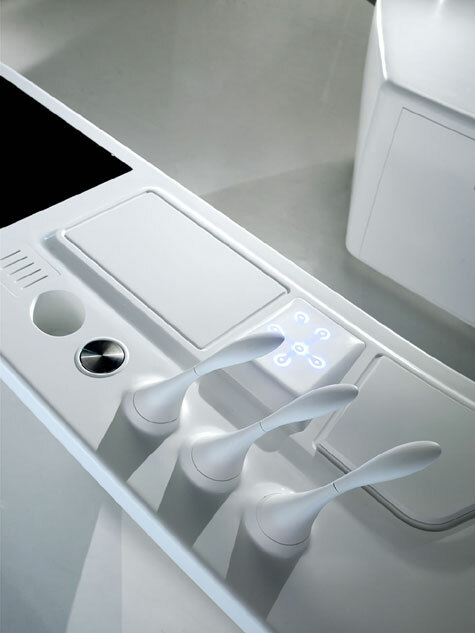 Designed by Zaha Hadid, the Z Island offers a futuristic, sensory-responsive kitchen environment. it is loaded with all high-tech accessories, including LED touch panels in the surface of table, a Mac for multimedia tasks, and three strange-looking aroma devices that turns out a range of scents. 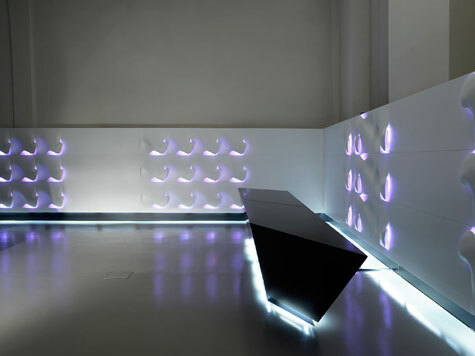 It also features a wall cladding system integrating special equipment with sophisticated sound and light diffusion capabilities. The central cooking area touts an innovative heating plate that keeps food warm for a long span of time. Pricing for the Z Kitchen Island begins somewhere over 8 grand. ZOMG! It’s A Mutant Platypus! wow what a spectacular kitchen dude!! they really look star trek !! long and prosper live ! !